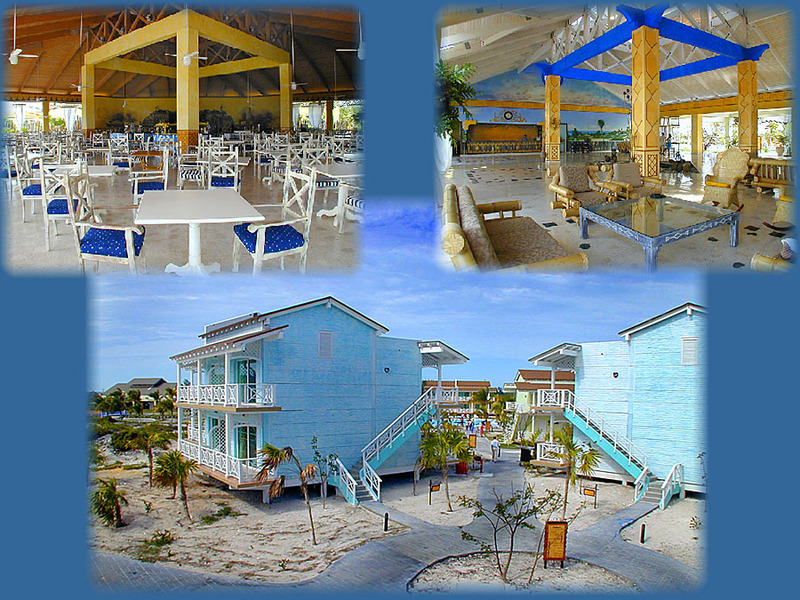 I stayed at the Melia Sol Club Cayo Largo and this 4 star rated resort is a sun worshipers paradise. Large clean buildings scattered across the property surround the central pool, and the beach is just over the dunes. Located on Playa Lindamar, the sugar fine white sand leads right to the turquoise water. Personally I think it best to be on a second floor with an ocean view across the dunes. At the top, you have a view of one of the restaurants (breakfast and lunch) on the left and the right is the large main foyer. See Cayo Largo tab for beach and pool views.